established in 2007 and renamed dongguan hanxiang rubber products co., ltd in 2011, our company specializes in development, production, and sales, covering an area of 2000 square meters. our premier task is to develop shockproof products by combining rubber, silica gel, and plastic cement with hardware. we have an independent r&d department with sophisticated technology to combine rubber and hardware, and the perfect supply chain, which can meet the special requirements of various customers. our products feature in anti-vibration, skid-resistance and a firm combination of rubber with hardware. our products have been applied widely and where there are shockproof products, there are products from hanxiang. currently, our shockproof products are mainly used in sports apparatus, hard disks, vibrating plates, power-generating machines, power supplies, apparatus feet, small appliances, loudspeaker boxes, etc. Business Description: We are a factory in Guangdong,China.We mainly produce rubber or silicone parts,such as rubber ball, rubber latch,mini silicone duckbill check valve,rubber damper or buffer,rubber mat,oring and rubber stopper,ect. 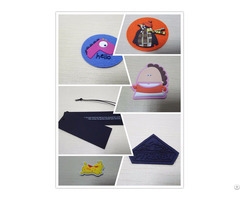 We also customized new products for you according to your pictures or drawing.